A L O O K B A C K C A R T A G E N A, C O L O M B I A ! As we say Bon Voyage to spring and OLA to some gorgeous summer weather, I wanted to take you back to a beautiful summer spent in Colombia, where on our last stop we visited the beautiful coastal city of Cartagena de Indias. Situated on the Caribbean Coast, Cartagena is the type of place you can relax your busy holiday sightseeing plans, and just get ‘lost’. You can spend your time here wandering the cobbled streets and alleys, head down to the beach or just relax at one of the resorts or health spa hotels the city offers. For those who have been to or heard of Cartagena, a few things pop to mind – whether it’s the beaches, the balconies spilling with bougainvillea, the cobbled streets in the Old Town (which is listed on Unesco’s World Heritage list), the fruit vendors or the local shops selling locally made goods – the streets and local stores are inspiring to say the least. We stayed at the equally inspiring Ananda Boutique Hotel, which is close to both the beach, and also to the Old Town. 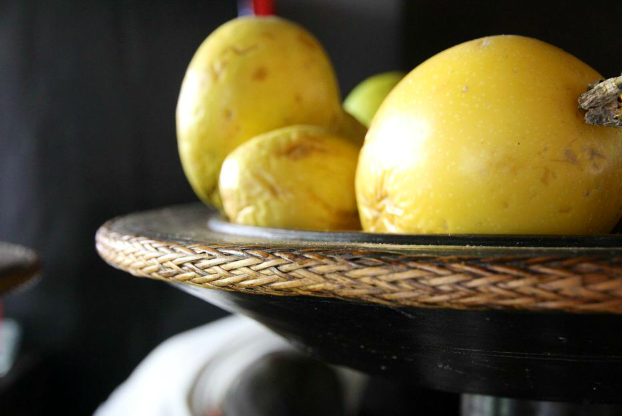 One word to describe the Ananda Boutique Hotel is gorgeous, mixing South American interiors with lux creature comforts you find at any world-class boutique hotel. 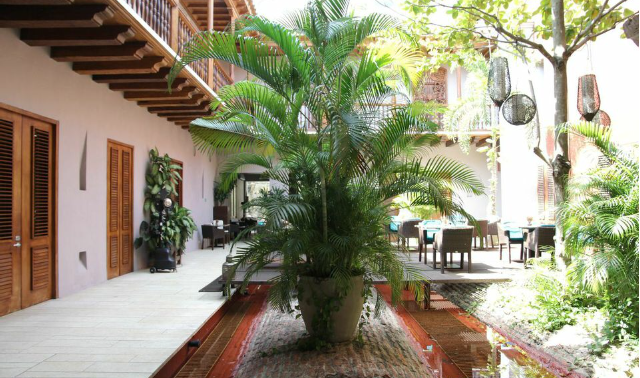 Set in a restored Colonial house close to Santo Domingo Square, and comprising of 23 guest rooms – the Ananda Boutique Hotel is a true sanctuary in the heart of the city. 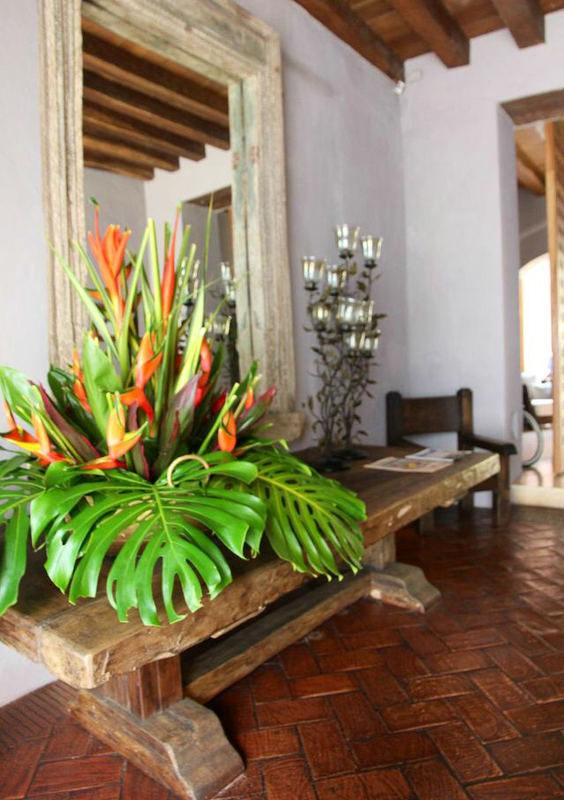 The interior is authentic to both Cartagena and Colombia’s colonised history; with dark timber features, splashes of vibrant colours and patterns, and green pot plants littered throughout the property. The sixteenth century white walled colonial house is bursting with interior influences from Morocco to Bali to India, while still remaining true to the Colombian surrounds. 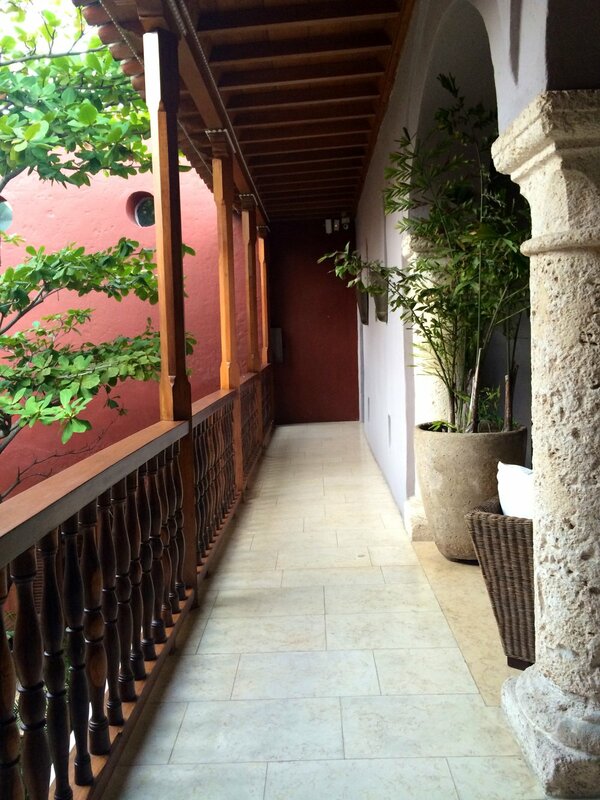 The Ananda Boutique Hotel Cartagena is a lush escape from the bustling busy town centre and nearby Santo Domingo Square. Georgia’s favourite design elements at Ananda Boutique Hotel – the large arch ways that are present throughout the colonial building of the Ananda work well with the detailing of the aged dark timber. The terracotta flooring along with the exposed brick elements juxtapose beautifully with the travertine floors throughout the Ananda. Use a terracotta paint colour in your home or soft salmon render shades for external walls... Don’t be shy. An entire exterior in this colour will bring an immediate Mediterranean feel. Dulux make a wonderful match called ‘Terracotta Chip’ or ‘Italian Clay’. Think about growing creepers on the side of an exterior wall. Embrace and allow your home to age with time. A perfect home to me is one that looks lived in. Introduce handmade tiles into your dwelling Check out my range at www.tilesofezra.com for some gorgeous options!